Herbert A. Deutsch is a German (by birth), and American (by citizenship) composer, music consultant, marketing consultant, inventor and educator. He is currently a professor emeritus of electronic music and composition at Hofstra University, where he’s been teaching for more than 50 years. Until 2001 – the year of his resignation – twice Chairman of the music department at the same university, where he headed Music Business, as well as electronic music, recording studio and taught composition and multimedia. He is the author of the three published books and more than 40 articles on electronic and computer music. Award winner of Hofstra, George Estabrook Alumni, more than 15 ASCAP Awards and 20 composer grants. He “starred” in the “Who’s who in America” from 1999 to 2012 and was enlisted in the “Hall of Fame of Music” in 2007. Anyway Deutsch became known primarily for the co-invention of Bob Moog’s synthesizer back in the distant 1964. Herbert Deutsch was born on February 9, 1932 in Baldwin, Nassau County, New York (NY). At the age of four, he realized (if we could say so – 4 years old!) that he was talented and had an ear for music, and he began studying music at the Manhattan School of Music while composing his own melodies. In 1956 Herbert received a bachelor’s degree from Hofstra University, and a second bachelor’s degree and a master’s degree from the Manhattan School of Music. He studied composition with Albert Tepper and Elie Siegmeister. He returned to the university as a professor in the early 1960s. A pioneer in the field of electronic and multimedia composition, he worked with Robert Moog in 1963-1964, whom he met at the conference of the New York State School Music Association in 1963, and took part in the development of the first Moog synthesizer. Deutsch is credited with creating his own keyboard interface. The prototype of this Moog synthesizer is now part of the collection of the Henry Ford Museum. His first public concerts performing with Moog synthesizer Herbert gave in Town Hall, NY in 1965, and he did it with his ensemble “New York Improvisation Quartet” and a synthesizer in 1969 in the Museum of Modern Art as part of the program “Jazz in the Garden” of 1969. In the early 1970s, he taught at St. Agnes High School in Rockville Center, New York. Deutsch co-founded the Long Island Composers Alliance (LICA) in 1972, where he was President, and cooperated with the NYSSMA music foundation. The following year, he organized the first electronic music concert for LICA students. From 1979 to 1983, Deutsch was the Director of Marketing and Sales at Moog Music. He also worked as a marketing consultant at Roland Corporation, MULTIVOX Music, Norlin Industries, and also the controller of the Software Design and Muppets of Jim Henson. Since 1994 he’s been a member of the Music Technology Committee of the New York State School Music Association (NYSSMA) and a jury member of the Improvisation Committee. In 1995 Deutsch’s multimedia opera “Dorian” was premiered based on the novel by Oscar Wilde “Portrait of Dorian Gray.” His compositions were performed at the National Conference of the Music Teachers, and are also on the list of the Arts Network and the Society for Electro-Acoustic Music of the United States. His CD “Woman in Darkness” was published in 1999. The quartet “Meridian String Quartet” performed Preamble and Fugue when recording at Capstone Records. In Hofstra he also composed music for six performances of the Shakespeare Festival, including two performances during his rest. He won a ASCAP Award dozen times. 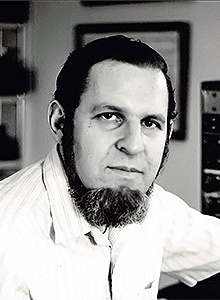 Deutsch is the author of the synthesis (Alfred Publishing Co.) of electroacoustic music in his second edition, published in Japanese and Korean, as well as his “First Century” (CPP/Belwin) and “Teach Yourself Piano” (Karamar Publications). He takes an active part in the work of the Society for Electro-acoustic Music in the USA. His album “Moog To Mac” was recorded in June 2007. In June 2000, you could see him on the History Channel in the Moog synthesizer program, etc. In 2001 in his honor the Music Department established the Herbert Deutsch Award for the most eminent achievements in music education. In 2007 he received the award for his lifetime achievement to electronic music at BB Kings in New York, was introduced to the LI Music Hall of Fame and received a “Special Merit” award from the New York State School Music Association. Honorary professor of music at Hofstra University, Herbert Deutsch, was awarded for years of loyal service at the university and got a place in the history of music at a special ceremony on April 14, then the history of his work on the development of the Moog synthesizer became an integral part of the exhibition of the Hofstra University. In addition to the status of Hofstra Honored Professor, Professor Deutsch is a welcomed person at the New York University Gallatin School of Individualized Study.